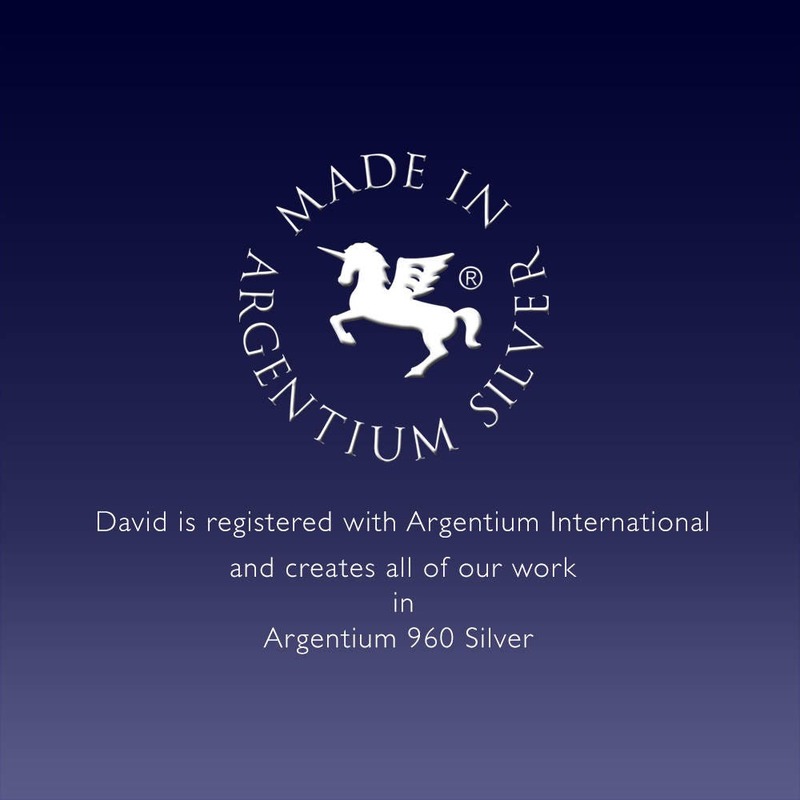 Cast in Argentium 960 premium quality 100% recycled silver, this piece is specially processed for tension setting, and measures 18mm x 8mm, or 3/4x5/16 inches. It holds an 8mm square cushion cut Swiss Blue Topaz. 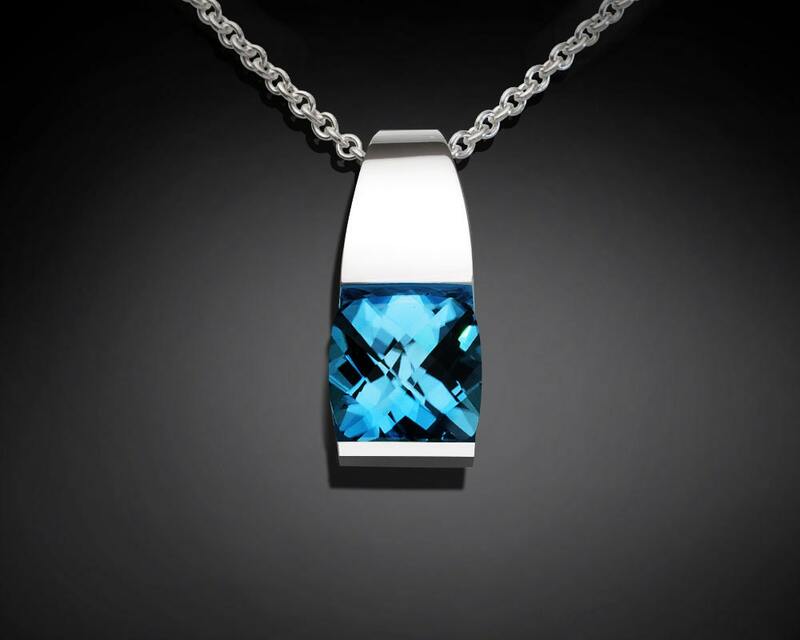 BLUE TOPAZ: The beautiful blue of this stone is created by enhancing white topaz through the use of heat and irradiation. 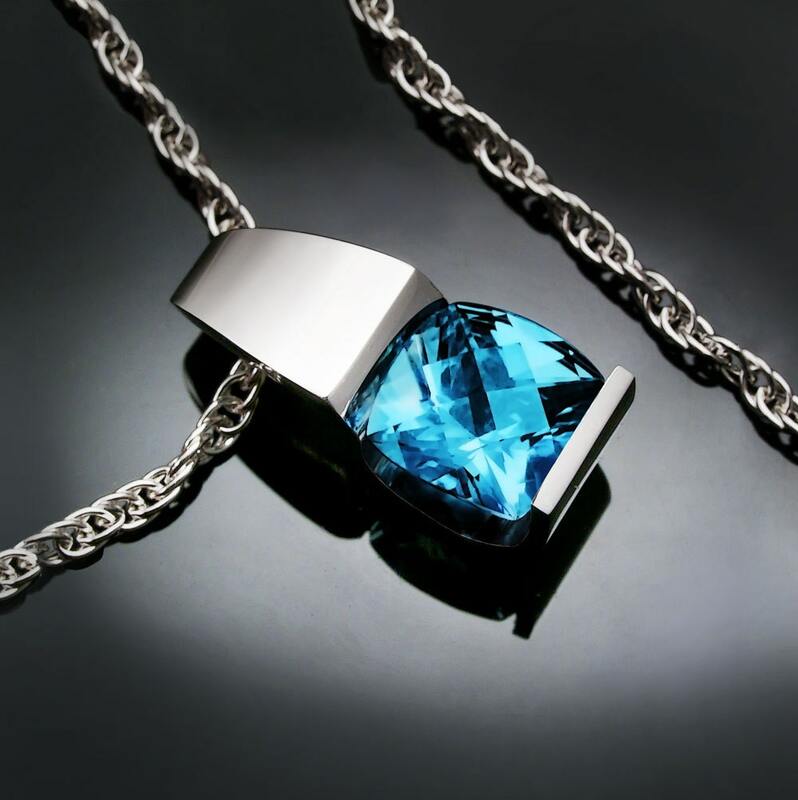 Our supplier’s blue topaz are irradiated legally in the U.S. to the highest standards. 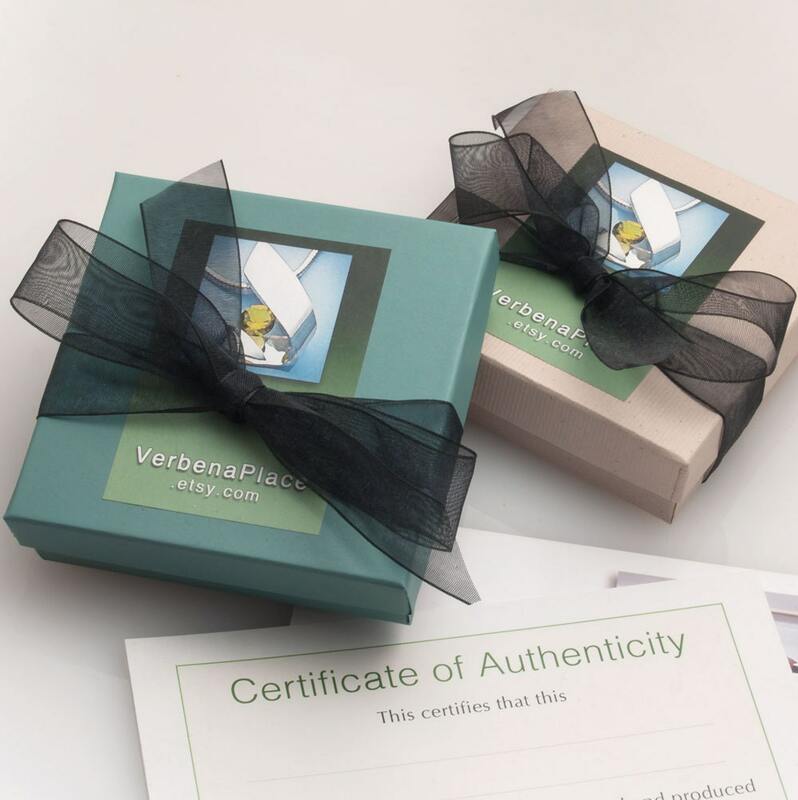 These gemstones meet U.S. safety standards, both after irradiating the rough and after the stone is cut and polished. 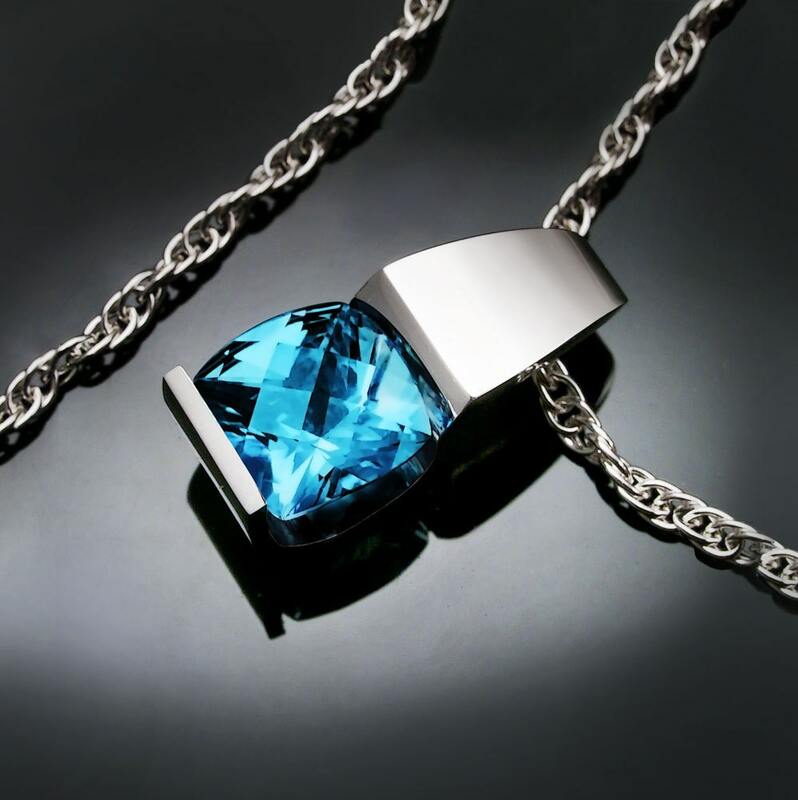 There are several shades of blue topaz , including Sky, Swiss and London. Blue topaz is one of December’s birthstones along with Zircon and Tanzanite. Absolutely beautiful!!! I couldn't be more impressed or happy with this purchase.